Liquid eyeliners are often some of the most long lasting formulas. Most have a brush or a pen tip, but what if you want something a little more precise? 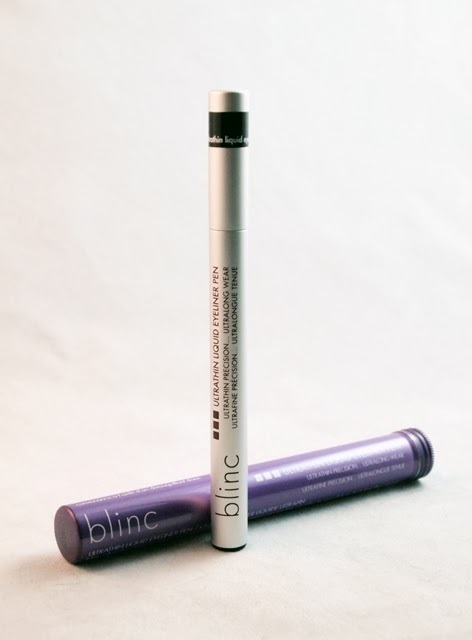 Blinc Cosmetics created an UltraThin Liquid Eyeliner Pen that allows you to go as thin (or as thick) as you want. 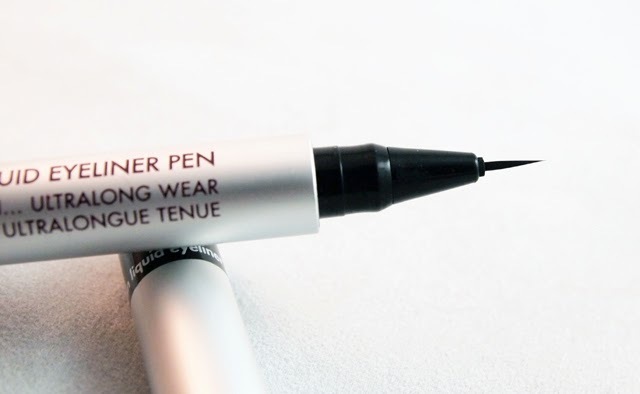 This eyeliner is very easy to use, especially if you want to achieve a thin line. The formula glides on smoothly and is long-lasting. It is water resistant in my experience and resists smudging as well. While I haven't been able to find this in stores, there is free shipping if purchased online. The formula rates a moderate 4 on the EWG Skin Deep database, mainly due to the use of carbon black, ethlyparaben, and phenoxyethanol. While the ingredients are better than many conventional alternatives, I'd still love to see this made even gentler. I would also like to see the ingredients disclosed on the beautiful website, which has so much other useful information. (I have listed the ingredients below, for reference.) As with all pen applicators, I recommend them for personal use as opposed to professional, due to the difficulty of sanitizing pens between clients. This eyeliner is very easy to use and is a long-lasting formula that makes for worry-free wear.